Click this link for details previously posted! Can't attend a writing conference, or missed out on a session you really wanted to see? Watch complete instructional sessions, workshops, panel discussions and interviews from ThrillerFest 2008 - featuring Sandra Brown, David Morrell, R.L. Stine, Lee Child, David Baldacci, Kathleen Antrim, Bob Mayer, D.P. Lyle, M.D. and others - at your convenience, from the comfort of your home or office, at a fraction of the cost of attending in person.Enjoy four all-new conference video workshops on WritersDigest.tv direct from the ThrillerFest 2008 conference. Get exclusive access to these professionally filmed conferences workshops, featuring D.P. Lyle, M.D. (Howdunit Forensics) on "The Psychology of Character Thought, Action and Dialogue", plus in "Thriller Fan to Thriller Writer" Shane Gericke, Lawrence Light, Jordan Dane, Alan Jacobson, Susan Crandall and Philip Donlay on how they got their agents, marketed their books and became bestselling writers. New York Times bestselling author Lee Child (Jack Reacher series) teaches how to ask a question and make readers stick around for the answer in "How Do You Create Suspense?" "Learn How to Pitch Your Book" with Kathleen Antrim (Capital Offense) and Bob Mayer (The Novel Writer's Toolkit), and watch bestselling author David Baldacci (The Whole Truth) in his informal Q&A as he answers questions about researching techniques, traveling through Europe, writing Absolute Power and more. -->Get a clear view into the writing market from dozens of top authors who give candid and insightful advice from one of the best writing conferences in the country. And remember, you can view any purchased workshop as often as you want - any time you want - even pause, rewind and fast forward!Please stop by WritersDigest.tv today and have a look at the free preview videos - I think you'll like what you see. Sandra Brown, author of 56 New York Times bestselling novels, says the key to writing thriller novels is planting a question in the first scene and answering it in the last scene. In this 40-minute presentation, she explains the ins and outs of writing a thriller, titling books and the work ethic that contributed to her success. Authors Robert Gregory Browne, Heather Terrell, J.T. Ellison, Jason Pinter, D.L. Wilson and S.L. Linnea discuss book promotion, writing organizations, the difference between advertising and publicity, and how to sell without getting a call from Oprah. Authors R.L. Stine, Wendy Corsi Staub, Robert Lipanulo and Jon Land talk about defeating the obstacles all YA thriller writers face when trying to get published, trying to sell their work and trying to write a successful series. Authors Thomas O'Callahan, Meredith Anthony, Carla Neggers, Allison Brennan and Jim Daher talk about their approach to writing villainous characters, the elements of serial killers and the subtle differences between good and evil. The 9th Annual Writer's Digest Short Short Story Competition is accepting entries! We're looking for fiction that's bold, brilliant ... but brief. Send us your best in 1,500 words or less. But don't be too long about it—the deadline is December 1, 2008. The Grand-Prize winner will receive $3,000 (that's $2—or more—per word). For guidelines, prizes and to enter online, click here. Alice Pope, who will be editing the 2010 edition of Novel & Short Story Writer's Market, welcomes submissions for the next edition of NSSWM. Alice would like pitches for articles and interviews that fit the following sections in the book: The Writing Life, Craft & Technique, Getting Published, For Mystery Writers, For Romance Writers, and For Science Fiction, Fantasy & Horror Writers. To get an even better idea of what is wanted, you should check out a copy of the 2009 Novel & Short Story Writer's Market at your local bookstore or library. Queries can be sent to Alice's attention at nsswm@fwpubs.com. Capital Christian Writers and Northern Virginia Christian Writers Fellowship are pleased to announce their 2008 fall seminar featuring Christian suspense novelist Wanda Dyson who will lead a two-part, hands-on fiction workshop. Also Melanie Rigney, former editor of Writers Digest, will provide an overview of the non-fiction market in two parts. Topics include articles, essays, memoirs, and more. One-on-one paid critiques available with Candice Speare, (fiction) content editor/cozy mystery writer and Lori Smith, (nonfiction) freelance writer/memoir author. Thirty minute sessions/$30. Write2Ignite Conference - November 7-8, in Durham, NC. Conference that will take place November 7-8, in Durham, NC. Let’s Ignite the Next Generation! The news for writing for children is mixed. Many publishers indicate picture books and other books for children are not selling. At the same time stores are indicating the one area not effected by the Internet are children’s book sales, especially picture books. Last year our nations report card showed the highest score ever in reading for children. And last year more books were sold than any other year, just not in the traditional store. Come and find out more about how you can get published and reach today’s children. 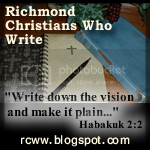 Have you registered for the Fall Christian Writer's Seminar sponsored by the Richmond Christians Who Write? - encouragement in your writing? - tips and techniques to improve your writing skills? 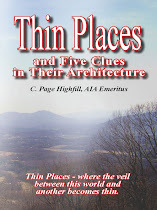 - an opportunity to network with other writers in the area? 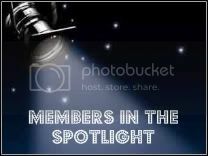 Our Presenter is Lisa Crayton, author of several books and the editor and publisher of Spirit-Led Writer, an online magazine which Writer's Digest named as one of the "101 Best Web Sites for Writers." The session topics include, Writing Nonfiction (articles and short pieces), Writing Christian Fiction: What Judges and Editors Look For, General Overview--Writing to Publish, Writing for the Web/Writer's Websites. This is a wonderful opportunity to attend a conference right here in our area! To obtain a registration form contact Rebekah Robb at tcrobb@integrity.com. Don't miss out on this great opportunity!